When you need harder-hitting arrows and extra knockdown power…make it Easton Full Metal Jacket! Delivering more penetration and shorter blood trails, thanks to a high-strength, N-FUSED carbon core wrapped in a full metal jacket. NOTE: Fletching and broadhead shown in the picture are not included. Custom Arrow Cutting available. Check the “Customize It” box and follow the instructions to have Arrows cut to your desired length. 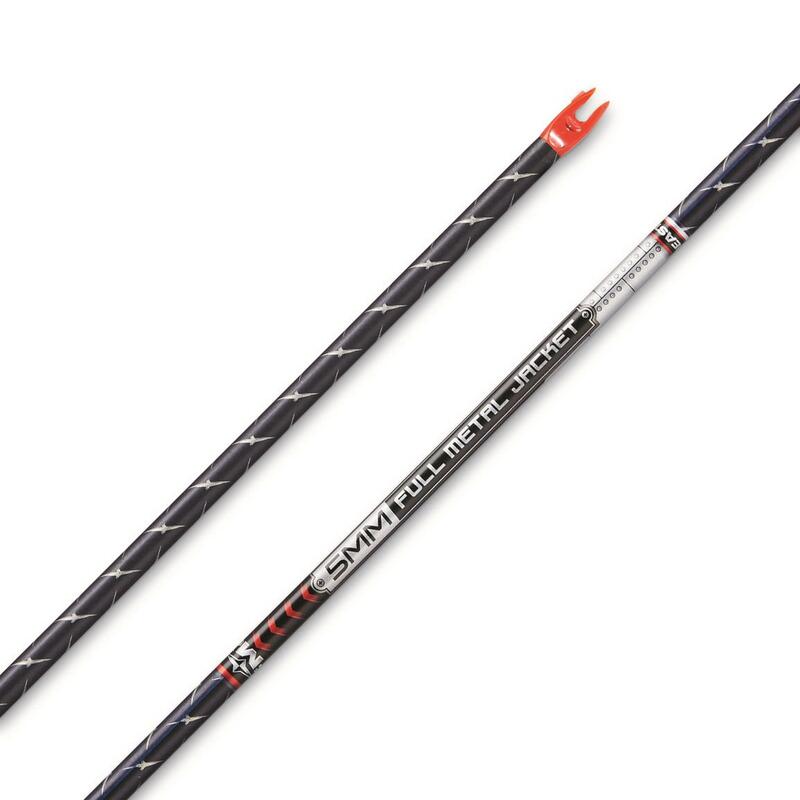 Easton Full Metal Jacket N-Fused Carbon Shafts, 12 Pack is rated 4.8 out of 5 by 6. Rated 5 out of 5 by pabirk from Shootin' Straight These FMJ shafts are the cats meow! Can't beat the price, especially getting them cut to length and inserts put in by the Guide! Rated 5 out of 5 by JEFF from These arrows are potent. Rated 5 out of 5 by ERIC from Arrows are the best on the market. 1 out of the 12 had glue in the insert and had to be cleaned out. SG needs to offer arrow fletching!!! Fits arrows with .165" I.D.